Living Abroad in Panama 2019: Why, Where and How? Living in Panama: Why, Where, and How? Beach on the Bocas del Toro archipelago in Panama. When I set off from Australia for about 12 months of roughly planned travel, I never thought I’d end up living in Panama! I had in mind seeing as much of Central America as possible and managed to travel for several months through Mexico, Belize, and Guatemala. Then I met my special someone. He suggested that we take an overland trip from Guatemala down to Panama and start a life together — so we did. Living in Panama has at times involved a steep learning curve, as I have had to adjust to living (not just traveling) through a Spanish speaking country, coping with the heat, and needing a massive amount of patience. Nevertheless, it’s all been a great journey so far, and my boyfriend and I have settled in nicely. So based on my experience I’d like to share an overview of living in Panama: the why, where, and how. Future articles will discuss specifics and costs in depth. Panama has some of the most open immigration policies in Latin America. On arrival, passport holders from over 50 countries receive a 180-day tourist visa, and this is easily renewed by crossing the border for a weekend (which is a good excuse to take a vacation every 6 months). There are two visas you can apply for granting immediate permanent residency (see the "how" section below for more details). There is an abundance of fresh produce available in Panama (as there is in much of Central America), and in particular, the fruit, vegetable, and seafood markets are cheap. In addition, there are a large number of supermarkets (mostly in the City) that carry an enormous range of local and international products. You’ll usually find that the available food products are the same, if not similar, to what you’re used to back home, but can be expensive. So, while it’s easy and inexpensive to embrace Panamanian cuisine buying food from local markets, you also have the more expensive option to treat yourself to food from home if you crave or require it. When eating in local restaurants, expect to pay $10 and under for a meal, including a drink. Lunch time specials are common throughout Central and South America, so you can expect to pay even less. If you're in the mood for international cuisine, expect to pay $15-$20 a plate at most restaurants, and up to $40-$50 at the higher end establishments. 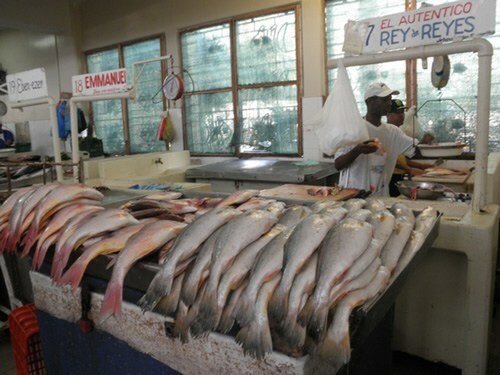 Fish market in Panama City. The predominantly warm and fairly consistent climate is a big draw for many. Many places in Panama have high temperatures and humidity, but there are also cooler climes in the interior. 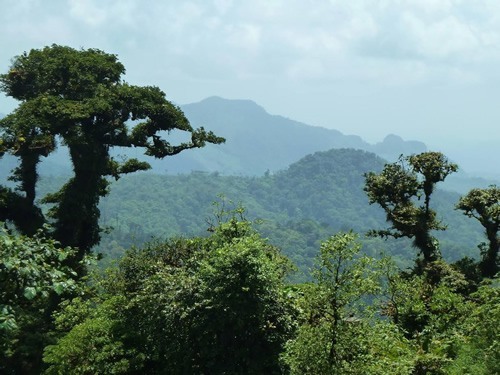 The diversity of lush, natural landscapes is another big attraction: from mountains and volcanoes to beaches, islands, and rivers, Panama has it all. Not to mention unique wildlife who make their home in the tropical jungles. 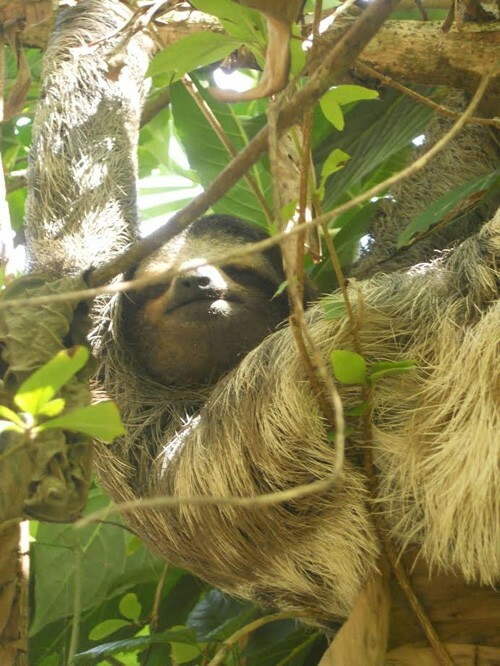 A local and harmless tree sloth caught peeking. The country’s internal transportation options are varied and economical, and Panama is fast becoming an international transportation hub for Central America. A large number of major cities around the world (in the US, Canada, Europe, and Central and South America) now have direct flights to Panama. In the City, local air-conditioned buses are $0.25 per trip, the brand new metro system is $0.35 per trip, and taxis should cost no more than about $4 per trip. The health care system in Panama is world class, and often cheaper than the U.S. and Europe. There are many foreign-trained doctors at most of the major hospitals in the City. Some people even take a "medical vacation" to Panama (where they come specifically for the lower-cost, high-quality services found in certain countries outside of the U.S.). There’s a large group of expats in Panama, so you can easily make international friends. However Panamanians love to converse, so you’ll likely make new local friends in no time. I do recommend learning Spanish however, as there are not many English speakers here (despite what you may have read or imagined given all the international companies with bases here). Spanish is a useful language to know in any case, as it’s one of the most widely spoken languages in the world, and lessons in Panama are affordable. Overall, the cost of living in Panama can work out to be much less than in your home country, but that all depends on your lifestyle and expectations. If you’re happy to live simply, and more like a local, chances are you’ll drastically cut your expenses. However, some expats relocate here and end up spending more than they did at home! Lastly, Panamanians are some of the world’s happiest people. According to one index comparing the quality of life in countries worldwide (Happy Planet Index), the people of Panama have high life expectancies and experience great levels of well-being (6th highest in the world in 2018). So there must be something to the lifestyle in Panama that makes people happy. Most people visit Panama numerous times before they decide where to settle down. The country has a diverse range of communities, each having something unique to offer. So your choice obviously depends on the lifestyle you’d like to live. Bocas del Toro: A string of stunning islands near the border of Costa Rica, this area is popular with tourists and expats looking for a laid-back Caribbean paradise. Boquete: A small highlands town offering cooler temperature, mountain and river views, with a deep sense of tranquillity. Coronado: A beachside area that has a large, friendly, social expat group (mostly retirees, but also some young families and couples) who enjoy a more relaxed lifestyle than that of the City, but still appreciate having key amenities nearby. David: A bustling town that offers expats (mostly retirees) much of the same conveniences as Panama City, just on a smaller and generally less expensive scale. David is one of Panama’s transportation hubs, where you can travel easily in and out of the country. El Valle: A small mountain town situated in a volcanic crater! Many expats like the cooler climate and rich biodiversity of the area. Panama City: The City has by far the largest group of expats (some say up to 30,000) from a broad range of countries such as the United States, Canada, England, Spain, Mexico, and Colombia. If you’re seeking employment, you’ll have a far greater chance of finding work in this business hub, which also serves as a branch or a center for many international businesses. Pedasi: A small, sleepy fishing town that is rapidly becoming a popular place for expats seeking an atmosphere of rugged beaches, and national parks. A building in Casco Viejo, the old quarter of Panama City. 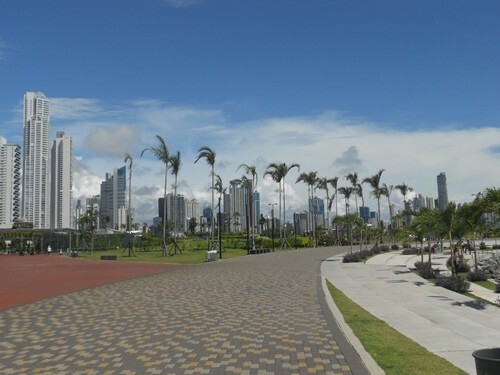 Cinta Costera is a waterfront boulevard in Panama City. As mentioned previously, 180-day tourist visas are granted on arrival. You can then start the process of applying for one of the two most common residency visas (which grant immediate residency): a Friendly Nations Visa (if your country of origin makes you eligible), or a Pensionado Visa (you must be on a pension to qualify). While it is relatively cheap to obtain a residency visa in Panama (compared to other countries), at a cost of a few thousand dollars, be aware that the process can be lengthy. It is easier to start to apply for visas once you arrive in the country, or alternatively, once you are in contact with a reliable lawyer (it is recommended that you reach out to the expat community in online forums for advice on how to do so). If you plan on working in Panama, you will need to obtain a work permit in order to do so legally. Many jobs are advertised online, but you’ll often find more jobs are offered through word of mouth. It’s therefore a good idea to start networking with other expats, or people in your field, once you arrive — or beforehand if you can. Once you’ve decided where to buy or rent in Panama, you can start looking online for houses or apartments. Many opportunities are also offered through word of mouth, however, so networking is always useful. Rentals are often furnished, but you can also find unfurnished accommodations and then furnish a home yourself relatively cheaply. It’s not recommended to ship your furniture from home to Panama due to the lengthy process (and sometimes additional hidden costs), so only bring the absolute essentials with you. Be aware, however, that electronics are usually much more expensive, so it’s a good idea to bring those along if possible. Driving in Panama can be challenging. If you do plan to drive and are not a permanent resident, you can only drive on your foreign license legally for 90 days (in reality, many foreigners continue to drive). It’s not recommended to have your car shipped here, as it is often hard to find parts and to get a vehicle serviced properly. Most people buy a car once they arrive (be careful buying second-hand cars, as many have been in accidents), use taxis, or public transport. As with most countries in Latin America — be patient. There is a mañana attitude in Panama, and things generally move slowly. Mañana, as many know, is the Spanish word meaning tomorrow, but when said in the context of customer service, it simply means "not today" (and maybe not tomorrow either!). So move to Panama and relax; enjoy what this unique country has to offer. Facebook groups include "Expats in Panama" and "Tropical Cowboys and Cowgirls." (These are "closed groups," so you will need to ask to join, once logged in on Facebook. Topics are absolutely anything and everything Panama related). 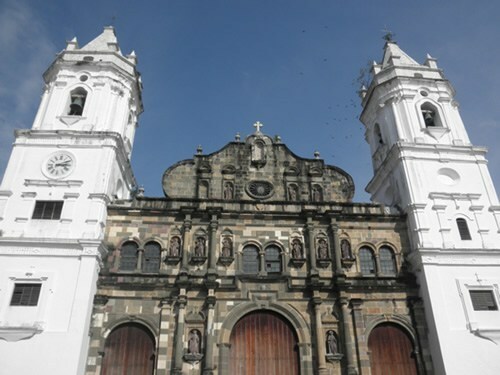 See Transitions Abroad's resources on Living in Panama for more. Penny de Vine is an Australian living in Panama City, Panama. She's an avid traveler, having seen almost 20 countries across the globe.